In 1932 sculptor Janet De Coux apprenticed with James Earle Fraser. 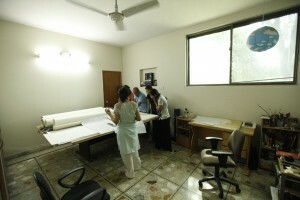 In a letter from Fraser to his former assistant, he comments on her studio “Seeing your studio and its grand light and very good proportions makes me feel like building one like it here. I particularly like the fact that you had only a few things in it. You really can see and walk around each piece. Coming back from Nadia Khawaja’s studio I just had to find the above excerpt that I’d read long ago in ‘Artists In Their Studios – by Kirwin with Lord’, with a picture of Janet’s studio, as a vague memory of it had suddenly become vivid to my senses and prevailed all along the visit.. Seated facing the artist on her desk under almost a rectangular-piece from the sky i.e. the large window interestingly placed in the right corner she shares the importance of the perfect light and how fervently she occupied this space when they moved here. I’ve walked past and we’ve laughed over the lazy cat in its enviable slumber on the bedroom; bed on our right and before that the large open lounge speaks about sophisticated comfort and strong minimal aesthetic choices – a selection of engaging art/photography – large and small – adorns the walls. This upper portion home in Cavalry Ground is all silence and light in this summer afternoon. ..
“Everything works together like a machine.” It’s the world working in perfect harmony with everything coinciding. Artists have to carry so many things; poetry, philosophy, psychology etc. And other powerful entities like geometry, math’s, physics, music all play together. Khawaja gives the example of an experiment on discovery channel where the metronomes (an instrument with a pendulum used to keep time for music) synched to play continuous symmetrical sounds. We skimp through the book 1001 Inventions That Changed the World by Jack Challoner and she shares how “it is said that the only hope for humanity is education.” As we talk, I begin to understand this devotion to knowledge – in parts – and a whole…how one thing cannot be without the other. While scrolling through a range of works on her laptop a celestial white landscape breathes next to a picture of the artist herself (Sea for Yourself) I ask her about this constant of unsettled-yet-made for each other… pairs of images and she comments “there’s magic in bringing things together…I had been taking these pictures since a while and coincidently they started making pairs” referring to a previous write-up on her work I inquire about the mentioned value of intuition and she talks about it as a part of the ‘whole’ where surface, looseness, pleasure and the qualities of light in life …all are pivotal. The artist duo has been visiting the Deosai plains frequently and the landscape was captured during one of their visits. She highly recommends it and much of her landscape photography is linked to the place. The couple have been traveling and exploring Pakistan’s beauty since a time, Khawaja reflects “You grow where you are planted and it is important to be continuously in touch with nature “Although we’ve discussed earlier how she won’t prefer the “Once Nadia was…” narrative …she reminisces how her grandfather (who was among eight-nine brothers, all highly educated diplomats) had chosen the farm life for himself. As a child that familiarity with the ‘out-door’, adventurousness’, digging into sacks of potatoes at her grandfather’s farm, playing in extreme temperatures and light could be the root to her fondness of nature. 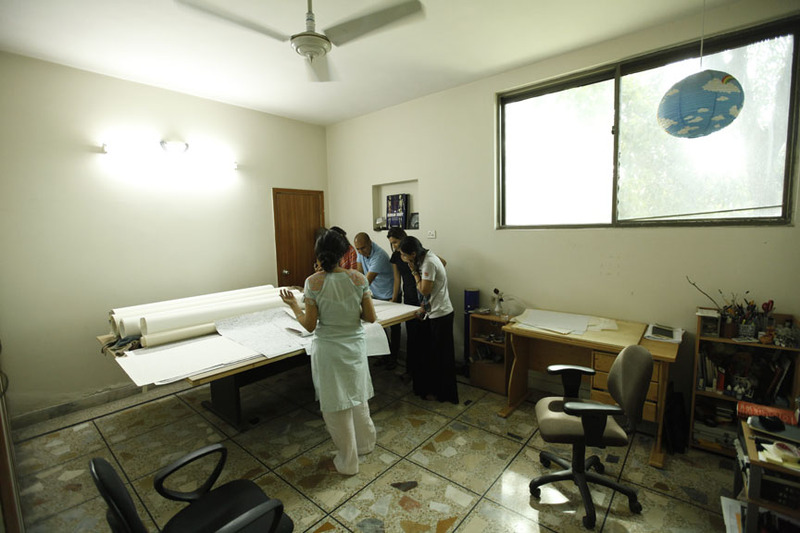 Khawaja did her BFA from the National College of Arts, Lahore (2001) and went to Ecole d’art d’aix-en-Provence, France (2000) as a 3rd year exchange student. That independence as an exchange student in a new city, the freedom to explore museums and see works in physical form, being with like minded artists and inspiring teachers, dialogue with nature; forests, grape picking in the early morning, self-discipline, value of time and specific observations was a defining moment for herself and thereby her practice. “There’s no east or west …no boundaries are defined.” Movement; travel, dance, yoga, meditation, music… all have played their independent and effective roles through different times. 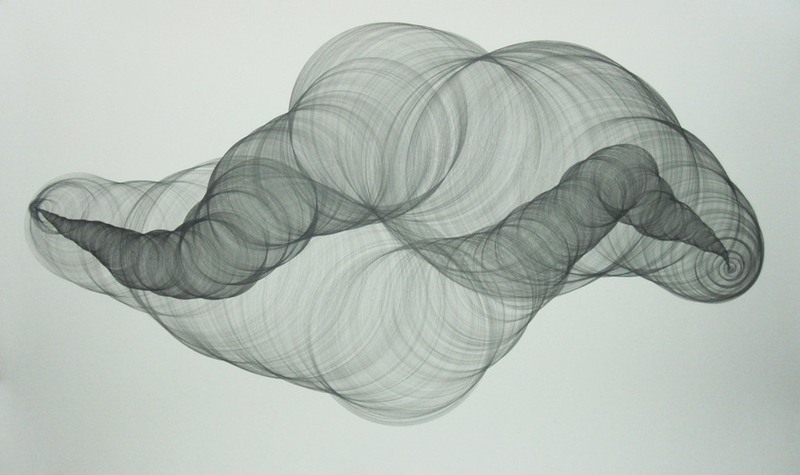 Overpowering, lyrical, large pen drawings are a hope for me as a viewer – a hope in nothingness. Among many the video work Flesh It Out is a paradox in its consecutive, loud vibrations from the rickshaw where her body/face remains still as a portrait. Khawaja is represented by Grey Noise Gallery, Dubai and Thomas Erben gallery in New York, till date her works have been more in the reach of an international audience but she foresees exhibiting more in Pakistan very soon. The works Ode to Sun and I AM talk about belongingness and more – Khawaja is in search of the greater truth through the infinite smaller ones. She was raised through different continents as her father worked for a multinational. 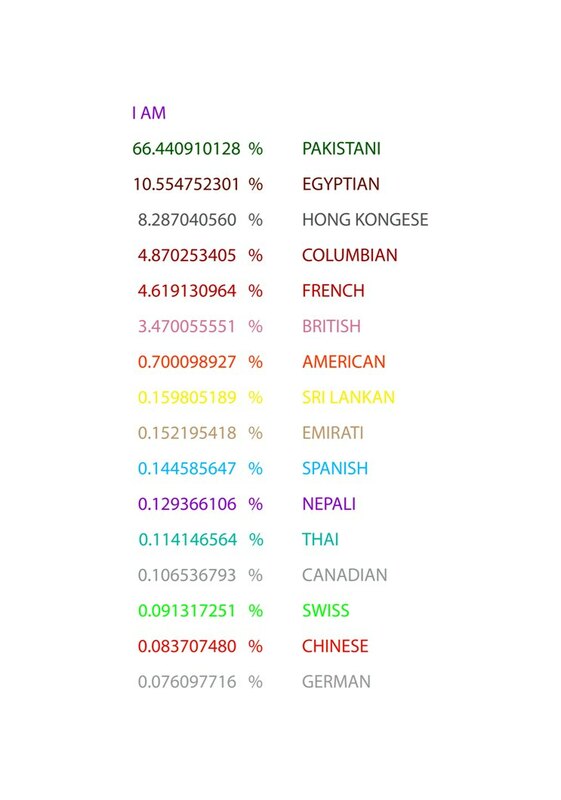 Her upbringing can be one of the reasons for her openness towards understanding origin… in the work I AM she gives us the exact percentage of how much she has lived in different parts of the world… the question arises; Is that enough to decide where she belongs to or who she is? 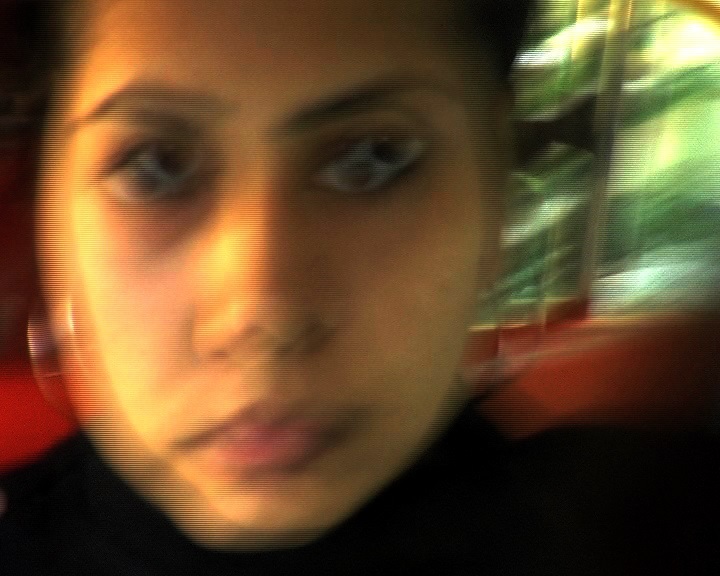 In an earlier work Khawaja was juxtaposing Polaroid’s (photography of face/features) on top of her own face which ensued uncanny visual distortions … “Vulnerability and imperfections are beautiful” a relentless quarrying of the self is predominant, thereby an interest in psychology has been a center of many centers. It is observable that my conversation with Khawaja holds no frontiers and even the thought of structuring it doesn’t enter my mind on any occasion. Sehr Jalil Raja is a visual artist and writer based in Lahore (BFA, NCA 2006). She is currently pursuing an MA (Hons) in Visual Arts at NCA and teaching O-Level Art at the City School.